It's conducting a review after two reports of battery "venting." "Please store (your board) away from anything flammable until we complete our investigation," the company said in a blog post. "If you don't have a convenient place to store your board, you may optionally remove the battery. These are precautions we recommend to ensure rider and home safety." 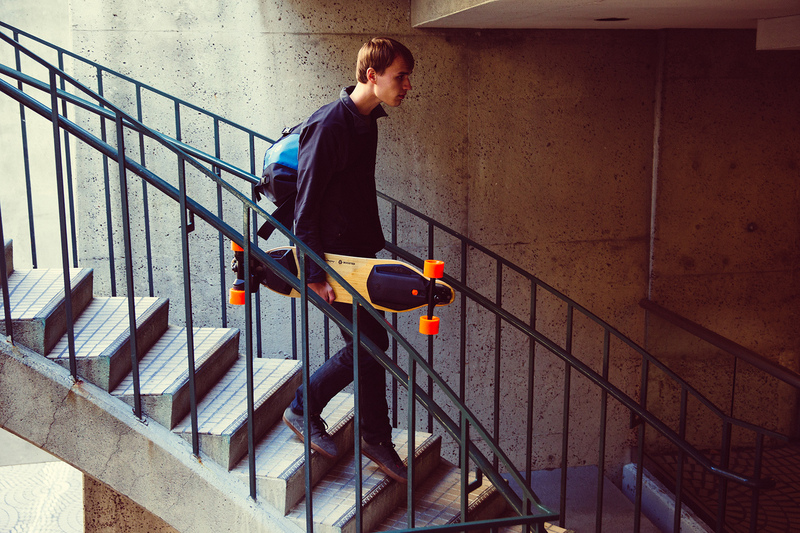 Boosted boards are popular for their slick design and impressive range. They're used by a variety of vloggers including Casey Neistat, Sam Sheffer and Sara Dietschy to zip around town and give subscribers a peek at their daily lives. For the casual commuter or skateboard fan, it's also a thrilling mode of transportation. The second-gen board is a significant upgrade over the original, introducing swappable batteries, bigger wheels and water-resistant housing. Three variations are available, with an optional extended range battery that's due to ship in "early 2017." The new battery problems are a big blow for the company and electric "rideables" in general. Skateboarding is a risky (but in this writer's opinion, expressive and generally awesome) hobby, even without an electric motor. These issues will do little to reassure customers who were wary of trying an electric version.